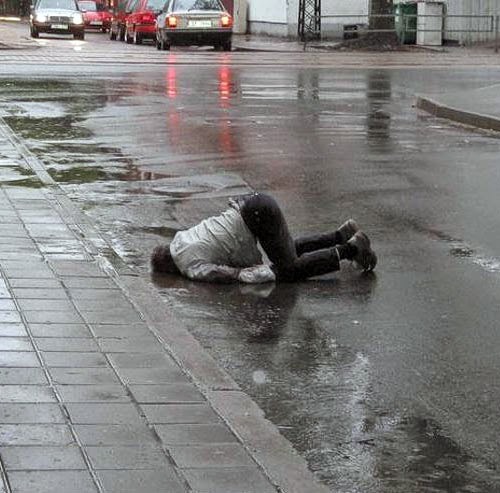 Paddy staggered from the pub and collapsed helplessly into the gutter. An old woman looked on scornfully. Paddy squinted at her, then giggled. "Bejesus, you scared me! I thought you was the missus come back from Hell. But tell me, are you sure I'm drunk?" "Of course," replied the old woman huffily. "Oh, thank goodness," said Paddy. "I was worried I might be a cripple."